I received a cool little gadget last week that I've been trying out. It's called the Dolly Dock and it's from a company called Cinegack. It started out with a dolly grip friend of mine voicing his need for something he could use to mount his monitor and still use his push bar extension, as well as be an extra rigging point for lights, flags, etc. It has threaded holes for 3/8" as well as 1/4"20 on all sides. One very cool feature is also that the pushbar extension can also be mounted vertically for better control of the dolly when doing a move in crab. It also features a quick release attachment for a 1/4"20 mount. It's basically a multi-tool for your dolly. The Dolly Dock screws into the threaded holes on the ends of the pushbar. The locknut allows you to fix it at any angle, and if you wish, the extension bar can screw into the other end. It comes in it's own plastic case. My first thoughts are that it's a pretty handy little device to have in your tool kit. As a matter of fact, we almost used it to mount a light on the dolly for the first shot the first time I took it out of the case. It's very well made, and if you like to mount a monitor on your pushbar, its the perfect thing. 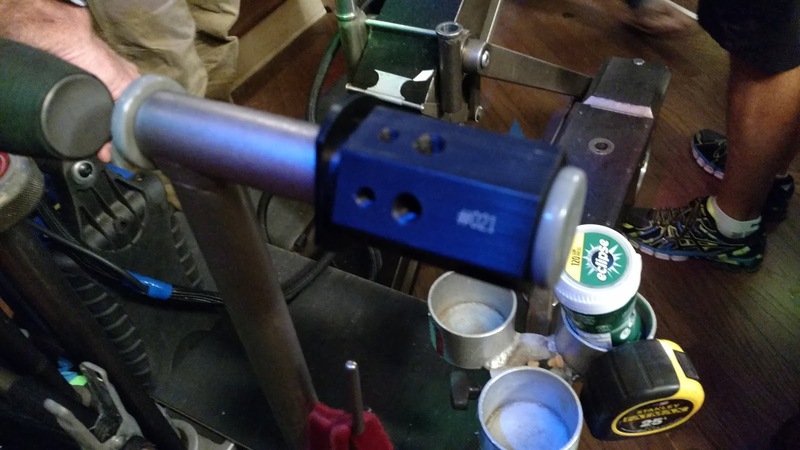 An inch and a half wrench fits it, although I have been advised by the maker that due to the anodizing, not all Chapman wrenches will fit it perfectly, but your personal ratchet will. They are coming out with a Chapman "master key" later that will fit it as well as other tools on the dolly. 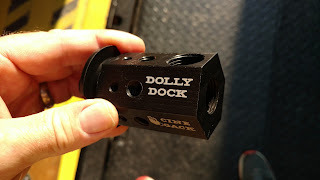 The Dolly Dock goes for 100.00. PS: That's not my cupholder in the picture. you’re in point of fact a good webmaster. The website loading velocity is amazing. It seems that you’re doing any distinctive trick. Also, The contents are masterpiece. you’ve done a magnificent job on this topic! Keep posting your good work. Appreciated. Good work please keep posting. I am glad to read your post. Amazing work you doing. you doing a really good job thanks for providing stuff. Indian Packers and Movers is also well known in Local City's like Thane, Bandra, Mumbai Central, Borivali, Churchgate, Bhayandar and many others area's of Mumbai.